Numerous large food companies, restaurant chains and retailers have pledged to source cage-free eggs and meat from animals that were raised without antibiotics, as well as take other steps to address the health and integrity of their animal product supply chains. And the regenerative agriculture community continues to educate about the connection between livestock, soil health and environmental health. 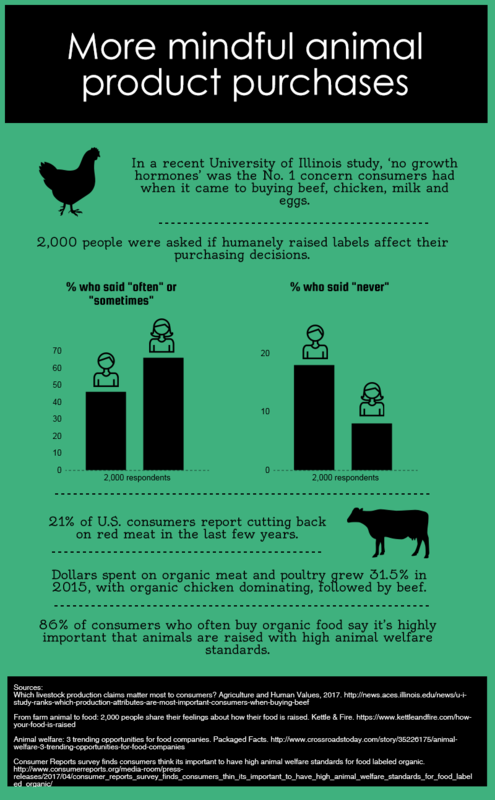 Here’s a quick look at shifting consumer attitudes.